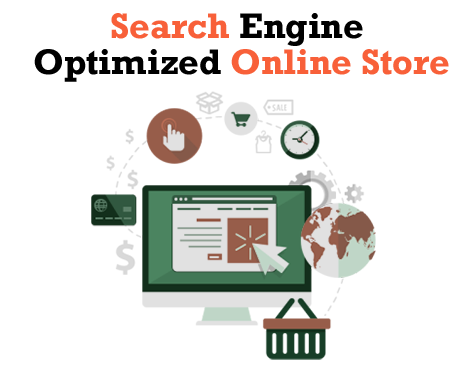 Get search engine optimized online store and ensure success of your online store with high visibility and higher ranking of your store in search engines. 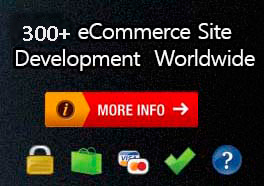 Nano It World - an expert Magento ecommerce website designer offers search engine optimized online stores. SEO friendly e-commerce website designed by the competent team at Nano It World help clients drive more sales to their online store. SEO experts here feature an advanced ecommerce website with built in Search Engine Optimization (SEO) features, which ensure enhanced traffic and sales from different search engines including Google, Bing and Yahoo. SEO friendly CMS designed by Nano It World enables site owners to use best practices such as customizable H1, title and Meta tags. New products and site changes in online store easily and quickly get visible in search engines by generating sitemaps.xml files. With the help of built-in analytic offered by the highly qualified team helps clients keep track of their website's performance and growth over time. It also helps clients set benchmarks of their online store's overall performance and helps them make right marketing choices for enhanced sales and business. While SEO experts designing the online store, they make sure they use unique titles and meta description in all the pages. They also write description meta tag, which perfectly summarize the page and make it easy for search engines. SEO experts at Nano It World don't focus only on high rankings and increased traffic towards the online store, rather they give equal importance to conversion rate optimization and make the action plan accordingly. We give equal importance to Google Analytics to find the loopholes in your site and address those issues efficiently. This not only minimizes the bounce rate on website, but also help clients convert visitors into customers due to high search engine ranking and a SEO friendly design. It also helps clients keep a track of their website's performance by providing details like conversion rate, number of transactions and average order value.